If you’ve ever put in an eyedrop, some of it has almost certainly spilled onto your eyelid or cheek. The good news is the mess doesn’t necessarily mean you missed. The bad news is that medicine you wiped off your face is wasted by design — and it’s well-known to the drug companies that make the drops. Eyedrops overflow our eyes because drug companies make the typical drop — from pricey glaucoma drugs to a cheap bottle of Visine — larger than a human eye can hold. Some are so large that if they were pills, every time you swallowed one, you’d toss another in the garbage. The waste frustrates glaucoma experts like Dr. Alan Robin, whose patients struggle to make pricey bottles of drops last. He has urged drug companies to move to smaller drops — to no avail. “They had no interest in people, their pocketbooks or what the cost of drugs meant,” said Robin, a Baltimore ophthalmologist, researcher and adjunct professor at the University of Michigan Medical School. ProPublica has been documenting the many ways health care dollars are being wasted. We’ve shown how hospitals throw out brand new supplies, nursing homes flush tons of unexpired medication and drug companies concoct costly combinations of cheap medication. Recently we described how arbitrary drug expiration dates cause us to toss safe and potent medicine. Often, large swaths of the medical and pharmaceutical communities know about this waste — even about solutions to it — but do nothing. Those who end up paying the bill, in one way or another, are consumers. Liquid medication is squandered every day. Beyond eyedrops, liquid cancer drugs are frequently packaged in oversized single-use vials that contain more of the drug than most patients need. This guarantees that a quantity of life-saving medication is tossed — and its cost tacked onto patients’ bills. Both eyedrops and cancer drugs are sold by volume, and we spend billions of dollars every year on them. Chemotherapy drugs can run thousands of dollars per infusion. Crucial eye medications to treat conditions like glaucoma may cost hundreds of dollars for a small bottle that only lasts a month, making the waste of even a drop a problem for low-income patients. 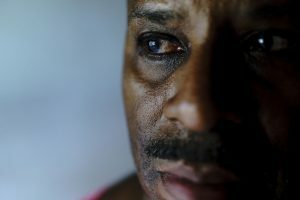 Gregory Matthews said there have been times when he’s run out of his $295 bottle of Azopt, a glaucoma medication, with a few days remaining before his refill and he’s blamed himself. “You feel like you’re doing something that’s going to cause your blindness and it’s because of you,” said Matthews, 63, a teacher from Baltimore. Last year, drug companies brought in about $3.4 billion in the U.S. alone on drops for dry eyes and glaucoma drops, according to the research firm Market Scope. Both eyedrops and cancer drugs are sold by volume, and we spend billions of dollars every year on them. With both eyedrops and cancer drugs, pharmaceutical companies have done research showing that it’s possible to waste less — and save consumers money. Some of that research has been around for decades. Robin, for example, consulted in the early 1990s with Alcon Laboratories, one of the world’s largest eye-care companies, when its researchers developed a so-called microdrop. Patients, he said, were able to safely and effectively deliver the tiny drops, with nothing wasted. But instead of being a breakthrough, the innovation, he said, became a case study in how business interests trump patient needs. In the early 1990s, Bill York recalled his bosses at Alcon coming to him with a pressing request. Patients were complaining that some of the company’s drops caused stinging and burning in their eyes. Could he find a fix? York, head of the research lab at the company’s Fort Worth, Texas, headquarters, knew one way to ease the irritation: Make the drops smaller. The size of eyedrops isn’t regulated, he said recently. Some are over 50 microliters, more than twice what the eye can hold. When drops are too big, the overflow runs down the face or drains into the body through the ducts in the corner of the eye, he said. This explains why you sometimes get the sensation of “tasting” your eyedrop — it’s entered your sinuses. So his team created a 16-microliter drop — a microdrop — that was about a half to a third of the size of most drops on the market today, he said. They used a standard bottle with a latex dropper tip that wouldn’t cause injury if it touched the eye. Then they recruited 29 glaucoma patients to test the tiny drops. Glaucoma, a leading cause of blindness in the United States, is characterized by increased pressure in the eye, which can damage the optic nerve. Daily use of medicated eyedrops preserves sight by reducing the pressure. The patients tried different formulations of the same medication in both micro- and regular drops, which were about twice as large, for a week at a time. The researchers tracked the patients’ eye pressure and side effects, such as burning, stinging, itching and dryness. Their results were conclusive: Microdrops worked as well as larger drops to lower eye pressure. They also reduced some of the uncomfortable side effects of larger drops. And all the patients preferred using them. York and two of his Alcon colleagues published their results in 1992 in the American Journal of Ophthalmology. Robin, who consulted on the research, was the principal investigator. But his innovative solution ground to a halt when it came to getting it on the market. Back in the early 1990s, Jerry Cagle was the head of product development at Alcon. Cagle, who has a doctorate in microbiology, retired in 2008 after 32 years at the company. He said the microdrop project failed because it raised too many questions — all of them about profits. First, would competitors in the cutthroat eye-care business undermine the project? One time, Cagle recalled, Alcon wrapped one of its bottles in foil to reduce evaporation, extending the life of the product. A competing company started a rumor that Alcon’s drops needed the foil because they were toxic. Alcon had to remove the foil. “No good deed goes unpunished,” Cagle said. Second, if Alcon reduced the drop size on this product, would they have to do the same on the company’s other eyedrop products? Alcon would also have to get Food and Drug Administration approval. Company-funded studies would need to prove to the agency that the smaller drop was just as effective as a larger drop. So the project was killed, Cagle recalled, doomed by the cost of bringing the microdrops to market, combined with the risks of whether they would sell. Novartis, which now owns Alcon, did not want to talk about the microdrop study. When asked about the drop size, a spokesperson said the drops include a “margin of safety” to ensure patients get enough of the drug in their eyes. Robin recalled a different response back in the 1990s when he urged Alcon executives to pursue the microdrop. It was, he said, like asking your wife if you could leave town for your anniversary or her birthday. Twenty-five years later things haven’t changed. Those in the eye industry — doctors, pharmaceutical officials, researchers — know that eyedrops are much larger than the eye can hold. But there’s little focus on the waste. Dr. Michael Repka, spokesman for the American Academy of Ophthalmology, said the drops have been larger than the eye’s capacity for the three decades he’s been in practice. While the focus has been on drop administration and ensuring patients can get refills, he said, the industry should be looking at drop size. You might think the FDA would intercede, but the agency’s mission is the safety and efficacy of drugs, not prices or indirect costs due to waste. Since Alcon’s mothballed research in the early 1990s, other studies have similarly found that most drops on the market are larger than necessary. A 2006 study published in the Journal of Ocular Pharmacology and Therapeutics, for example, said 15 microliter drops are as effective as large drops. “Smaller drops would be preferable to minimize systemic exposure and spilled or wasted medicine,” the study said. That study, like Alcon’s, was the work of an eyedrop maker. Two of its authors worked for the pharmaceutical giant Allergan, which also funded the study. Eleven years later, Allergan still doesn’t make any drops that are 15 microliters or smaller. The company declined to comment. Internal drug company documents and depositions unearthed in a recent court case in Illinois also suggest that companies have long known their eyedrops are bigger than human eyes can absorb. “The drop size is not a medical dosing issue because the human eye can only absorb 7 (microliters) of fluid.” Common drop sizes are between 25 and 56 microliters, the memo added. A 2011 Pfizer memo said: “The drop size is not a medical dosing issue because the human eye can only absorb 7 (microliters) of fluid.” Common drop sizes are between 25 and 56 microliters, the memo added. And in a 2014 deposition, a principal scientist from Allergan acknowledged that the company studied glaucoma drops of 5, 10, 15, 20 and 30 microliters in size and found no statistically significant difference in the ability of the drops to reduce eye pressure. None of the drug companies wanted to discuss these documents or why they haven’t pursued a smaller drop. Even a drug industry consultant, Gary Novack, said it would be ideal to have a smaller drop with a higher concentration of medicine. But Novack, a pharmacology expert who helps companies shepherd products to market, does not believe reducing the size of drops would lower health care costs. The drug companies, he said, would “acclimate,” raising prices by charging by dose instead of volume. “People would price it per day or per month. It would work for a while but in the end the prices, I think, would adjust,” Novack said. That may sound cynical, but what happened with cancer drugs suggests Novack’s probably right. More than a decade ago, Genentech got a powerful new drug, Herceptin, approved for breast cancer. The drug, which helped slow the spread of the cancer, came in shareable vials so little of it would be wasted. This was no small issue since every milligram costs about $9 and each of a patient’s regular infusions can run more than $3,000. Herceptin became a blockbuster. In 2016, U.S. sales were about $2.5 billion. Then, this May, Genentech announced it would stop making the 440-milligram shareable vials of the drug and would replace them with 150-milligram single-use vials. The switch would make the supply chain more reliable because single-use vials are used worldwide, the company wrote in a statement. But cancer doctors, pharmacists and administrators immediately seized on the trouble with the change. The dosage of such drugs is based on body weight, so while some patients would have no wasted medicine, others would end up billed for medicine that would have to be thrown away. The announcement lit up an internet discussion group for pharmacists who work in cancer centers. “I’m assuming since it will now be a single dose vial that we’ll have to bill for the waste?” wrote James Meier, a pharmacist at Hays Medical Center in Hays, Kansas. “Yes you will bill for the waste,” replied another pharmacist. This “sets all of us back in our efforts to reduce waste in our facilities,” wrote a pharmacist in Montana. Payers will now have to spend millions of dollars “for a drug that’s literally going in the trash can,” Meier said in an interview following up on his comments. Some pharmacists speculated that there’s a financial reason for the change. “Biosimilar” drugs — those that are almost an exact copy — are expected to compete with Herceptin, which could cut into Genentech’s profits. When Marin Cancer Care administrator Holzapfel heard about the switch she decided to estimate how much it would cost. She calculated use for the clinic’s 37 Herceptin patients in the first five months of the year, when they could share the larger 440-milligram vials. Then she analyzed how much they would have wasted with the new 150-milligram single-use vials. The average patient used 340 milligrams per infusion, she said. That would require three of the 150-milligram single-use vials, resulting in 110 milligrams of waste per infusion. Each milligram costs the clinic $9, so that’s an average of almost $1,000 of drugs wasted per infusion, she said. Individual patients would have to pay for more or less waste depending on their body size. Two of the Marin patients would have been billed for more than $10,000 in medicine they didn’t use over the course of their infusions, Holzapfel’s analysis showed. One would have been billed for more than $18,000 in wasted chemotherapy drugs. Her analysis is a small sample, but it showed the change to single-use vials would waste 16 percent of all the Herceptin used at the facility. Apply that rate nationally and it would total about $401 million in wasted Herceptin in a year, based on 2016 numbers. Given the high cost of cancer drugs, the thought of needlessly throwing any away outrages cancer researchers like Dr. Peter Bach. It’s “evil” to pass along the cost of this enforced waste to patients, said Bach, director of the Center for Health Policy and Outcomes at Memorial Sloan Kettering Cancer Center in New York. Bach led a study in 2016 that calculated the waste associated with the top 20 cancer drugs packaged in single-use vials. It estimated that 10 percent of the medication gets wasted at a cost of $1.8 billion a year. It isn’t hard to find patients who are paying the cost of this waste without knowing it. David Zinke, 67, lamented on Facebook that he couldn’t afford the $185 per month drops his doctor had just prescribed. He was shocked to hear about microdrops. He always thought “a drop was a drop.” Zinke said he was getting by on his Social Security plus what he made by selling fudge and driving for Uber in Tucson, Arizona, clearing about $1,500 a month. His budget doesn’t cover the brand-name drug his doctor prescribed, so every day he uses three less expensive bottles of drops. In Baltimore, Matthews, the teacher who fears running out of his drops, carefully puts a single drop of Azopt into each eye twice a day to preserve his remaining eyesight. His glaucoma has left him almost completely blind in one eye, and partially blind in the other. The drops allow him to continue to work as a teacher and watch his beloved Baltimore Orioles. Azopt is made by Alcon. Matthews has good insurance so he doesn’t pay the $295 sticker price, but he can’t get a refill until a certain date, so it’s critical not to waste a single drop. But Matthews told me, no matter how hard he tries, the drug gets wasted. Each drop is more like a milky “gob,” he said that collects in the corner of his eye. “Sometimes I feel like I’m wiping half of it out,” he said.